I’m really interested in how people make decisions, and I think it’s very applicable to information literacy. I wrote this article about it. It’s kinda my thing. It’s spring break here at Purdue this week. The Purdue academic calendar is really mean to second half semester classes in spring. 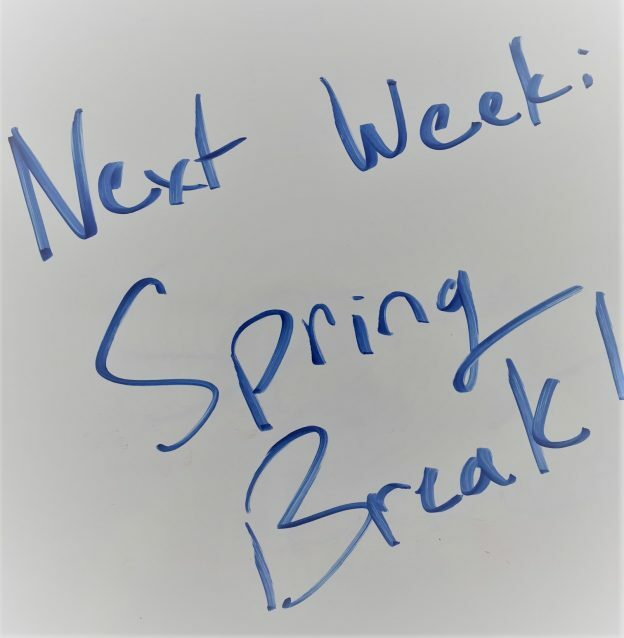 You start the eight weeks, then immediately go on Spring Break the next week. After the break, I have honestly had multiple students who actually forgot that they are taking my class and forget to show up. The assignment can’t be too much of a burden, since I have only instructed these students for a week and don’t know what they are capable of. This assignment acts as a bit of an introduction among students and also a way for students to apply the concept of bias. For this lesson sequence, students read the Harvard Business Review Article “Before You Make that Big Decision”. This article is really great summary of lots of different cognitive biases that might happen. Student then select a decision they made as a group that may have been affected one of the biases. The group aspect is really important because I think that decisions are more interesting when you make them as a group. It also allows them to not have to take blame if the outcome was bad. I like this assignment because I have found that students make all sort of decisions as a group. It usually gets pretty silly and I think the conversations students have are often very frank with each other. It usually builds community while bringing home the idea of thinking through your decisions. The debrief after break is especially interesting. When students come back, we talk about the outcomes of the decision. Students are asked whether or not they think their decision was good or bad and why. The ‘why’ is interesting because student usually end up in two camps: people who think a decision is good because the outcome is good, and people who think that a decision was good because the process was good. This is actually a big schism in decision science between the two. Often students will ask which the best way is, and the answer is that you need both ways. The decisions-that-are-good-because-the-outcome-is-good people tend to be more scientific, in that they observe what happened and try again, and again and again. That’s how new knowledge gets discovered. On the other side, you would not like to have an accountant, for example, who was an outcome-best decision maker. For those decisions, you want someone who consider all outcomes, crosses every T. Imagine is your accountant would consider your taxes filed if no one sent you to jail for tax fraud. That would not end well for you. This assignment also a great way to get students to think through their decisions without telling them their way of making decisions might be misguided. That’s not exactly the point. We all make decisions in different ways and in different contexts. Thinking about thinking is crucial. The reading “Before You Make that Big Decision” is all about checking biases and pitfalls when making business decisions. But it applies to every day decisions as well. Pick a type of bias mentioned in the article (self-interested bias, affect heuristic, groupthink, cost fallacy, endowment effect, disaster effect, loss aversion, overconfidence, planning fallacy, optimistic bias, competitor neglect, etc). This entry was posted in Dumb things I do, Talking about Teaching, Teach on Purpose on March 12, 2018 by admin.